Beth Tenda with her 3 children at the groundbreaking ceremony for the Kay Jewelers Pavilion. When Beth Tenda brings one of her children to Akron Children’s new ER, she’ll know every nook and cranny of the space down to the most obscure detail. That’s because Beth helped design the hospital’s $200 million Kay Jewelers Pavilion as part of the lean project delivery process. 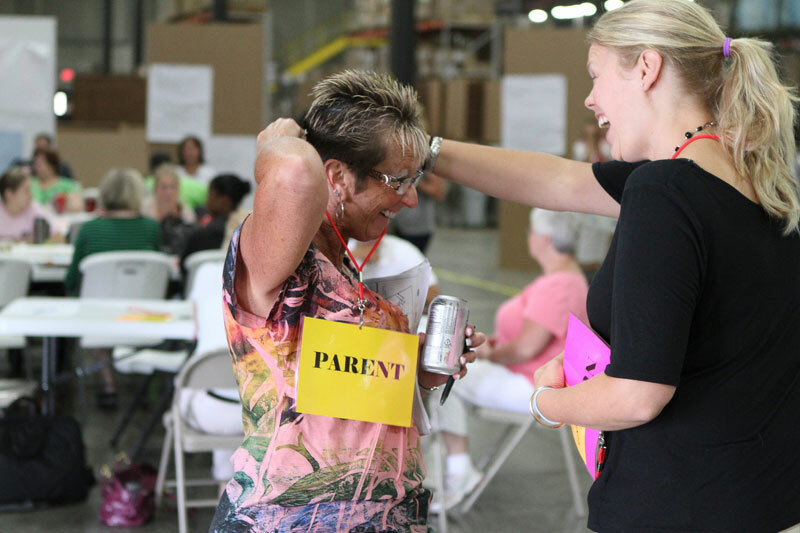 Beth and other parents provide design input to the architects during a focus group in 2012. 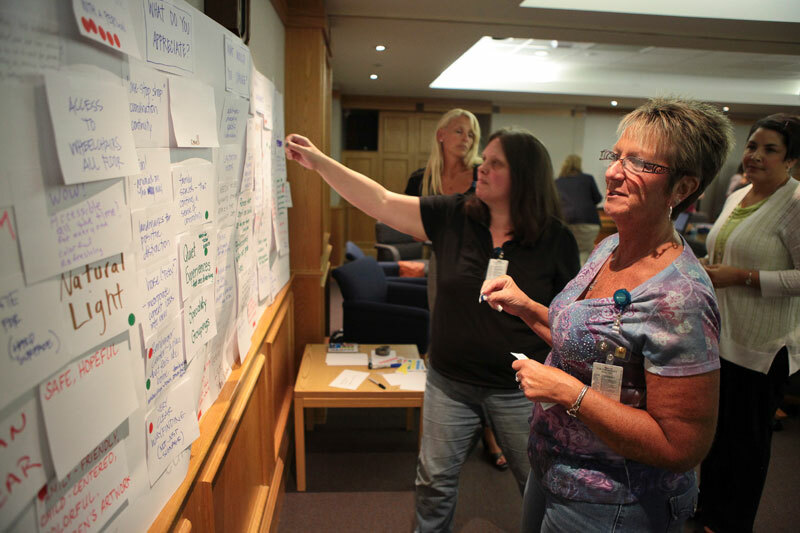 The process began 2 years ago when doctors, nurses, and other members of the care team met and brainstormed about the ideal ER and trauma bay, neonatal intensive care unit and outpatient surgery center. Beth and several other parents served as the voice of patient families in the process. They collected and studied data, looked at pictures of other children’s hospitals, worked with architects and engineers, and built and tested simulated space using cardboard walls. The goals were to build the best space for patient care, improve efficiency, minimize mistakes and keep the construction on time and under budget. After raising 2 sons, Beth still felt that pull to parent and adopted 3 children with special needs. Born prematurely, they are now between the ages of 8 and 10 and require the care of pulmonology, GI, sleep, and neuro-developmental specialists. 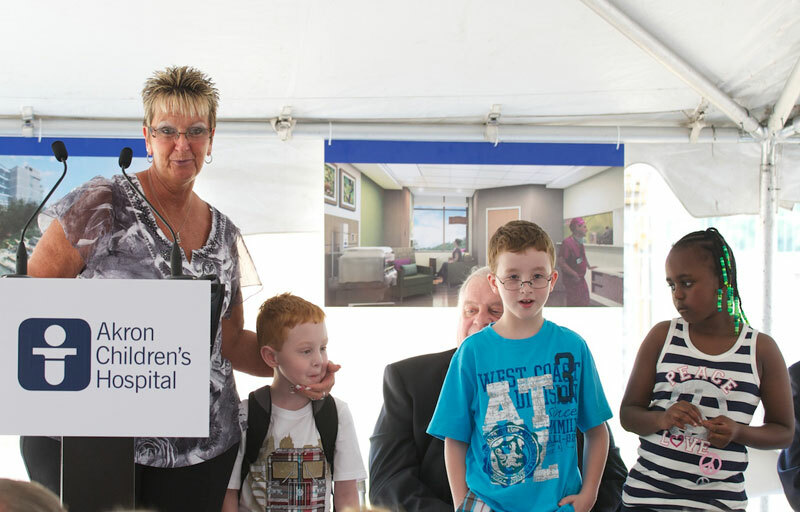 Beth estimates she has made more than 50 visits to Akron Children’s ER over the past few years. Beth also got to provide input on the interior design of Kay Jewelers Pavilion at a parent town hall meeting in 2013. Beth also recommended family restrooms, glass doors in the ER (where patients are less likely to feel forgotten) and a larger security presence in the ER waiting room. Beth contributed about 100 hours to the project, attending town hall meetings in the evenings, at least 4 all-day design workshops at a warehouse, and many other sessions. Beth’s experience as a member of the design team has impacted how she views her day-to-day life. 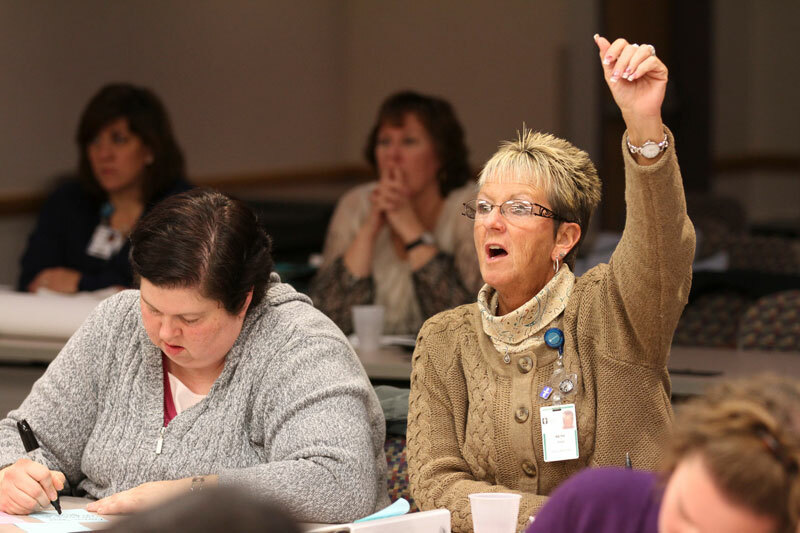 Beth continues to volunteer as a parent advisor at the hospital, providing input on various hospital committees and performance improvement projects.